As documents, and the whole information and communication environment, become increasingly digital, it is natural to assume that physical location becomes of less importance. Two newly published books remind us that this idea should be examined with a critical eye. 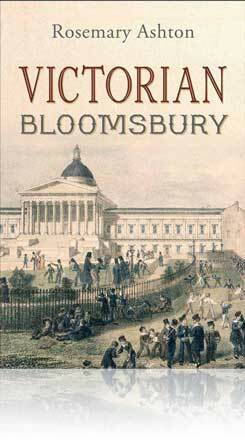 Rosemary Ashton’s Victorian Bloomsbury, a splendidly scholarly and well-produced intellectual and cultural history of that London district, gives a very convincing account of how the “March of Mind” occurred in a very specific locale over a relatively short time period. This is the story of how Bloomsbury became London’s “intellectual workshop” long before the Bloomsbury Group entered its squares and terraces. Naturally, the foundation of University College London is in many ways the focal point of the story, but Ashton covers much more besides, focusing on a number of institutions centred on documents and collections. The British Museum, with its library, is another major topic, with a lively account of the career of Pannizzi, whom Ashton categorises as “a force of nature, bringing is enormous energy to the task of making the … library one of the best in the world” (p. 148). 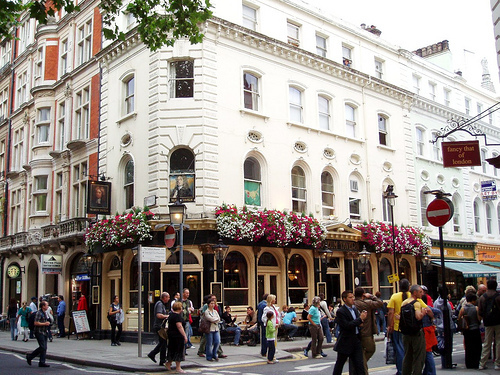 Many publishers set up home in Bloomsbury, most notably the splendidly-named Society for the Diffusion of Useful Knowledge. 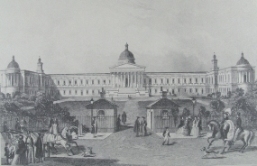 Hospitals, with their associated libraries, anatomy and pathology museums, and publishing ventures also flourished, as did institutions promoting the education of women and the working classes. There is much else in the book to commend it to anyone interested in Victorian intellectual life, or in the history of London generally. But documents and collections, and the interactions of those who used them are at the heart of this account of what Ashton reminds us is still “the heart of intellectual London, with more libraries, museums and educational establishments than any other part of the city” (p 319). The social institutions which promoted this interaction are also covered, most notably the Museum Tavern, a regular meeting place for those who frequented the Reading Room. The British Library, which grew from the library of the British Museum is now on the wrong side of the Euston Road to count as being in Bloomsbury by physical location, though it is certainly still there in spirit. 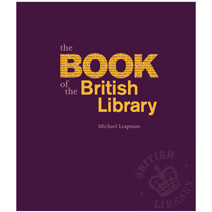 Michael Leapman’s Book of the British Library, while on an academic text in the same sense as Ashton’s, gives a well-researched and informative account of the Library’s origins and of its current status and issues. It is so well-produced and profusely and beautifully illustrated, that some may dismiss it as a “coffee table book”. This would be a mistake. A serious student would learn much from this book, though certainly the pleasure in reading it might disguise the fact. The Bloomsbury origins of the Library are well-described and illustrated; particularly gripping is the long-running feud between Pannizzi, Keeper of Manscripts, and Frederick Madden, Keeper of Manuscripts, and technically Pannizzi’s junior. The enjoyment of the blow-by-blow account of their disputes, culminating in Madden’s complaint that Pannizzi was to blame for Madden’s cat being locked in the Museum basement for two days, is one of the guilty pleasures of reading this book. These two books join a small number which has analysed and celebrated the history of intellectual advances in London. We might also mention James Hamilton’s London Lights, a popular account of developments in the early nineteenth century, focusing on the generation and communication of knowledge generally, including factors such as libraries, learned societies, museums, printing, lithography, and photography. Studying the history of information, and its collection and dissemination, in local contexts is worthwhile in itself. But books of this kind remind us that a physical place, a locality, has sometimes been a very powerful stimulus to the development of collections, of memory institutions, and of the advances in education and dissemination of knowledge which are associated with them. This is worth remembering as we move into a digital information world. Fantastic publications for such a historically rich and unique district of London. The photo of the UCL quad is fantastic. Do you have any information on it? Unfortunately not, other than it seems to date from the 1870s. The image is on the home page of the UCL Bloomsbury Project, so they may have more details.